The fall stargazing season kicks off in September with wonderfully placed spiral galaxies M31 in Andromeda, M33 in Triangulum, and M74 in Pisces. 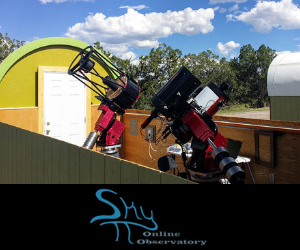 Use a big telescope to see these distant galaxies. Early in the month, around 9 PM, the "Summer Triangle" of three bright stars Vega, Deneb and Altair will be nearly overhead. In the northernmost portion of the Summer Triangle, you'll see a bright portion of the northern Milky Way. Point a telescope there and you'll discover that the fuzzy outlines of the Milky Way will resolve into vast fields of stars to explore. For the best conditions to see the galaxies and clusters described above, plan a stargazing session for the night of September 9th, when the New Moon will provide dark skies. This is the best night of the month to observe the night sky since light from stars and faint deep sky objects won't have to compete with bright moonlight. Off the western side of the constellation Pegasus, three globular star clusters almost line up in a row from north to south in September skies. These globular clusters are, from north to south, M15 in Pegasus, M2 in Aquarius and M30 in Capricorn. From a dark sky site, you can easily find all of them in 50mm or larger binoculars. Use a star chart and see how many of these planetary nebulas you can find in September: the famous Ring Nebula (M57) in the constellation Lyra; the Dumbbell Nebula (M27) in Vulpecula; and the "Blinking Planetary," NGC 6826 in Cygnus. Not far outside the western boundary of the Summer Triangle is a small, but intensely colorful planetary nebula, NGC 6572. All these can be seen in a 6" or larger telescope. Enhance your views of these distant clouds of dust and gas with an Oxygen-III filter. 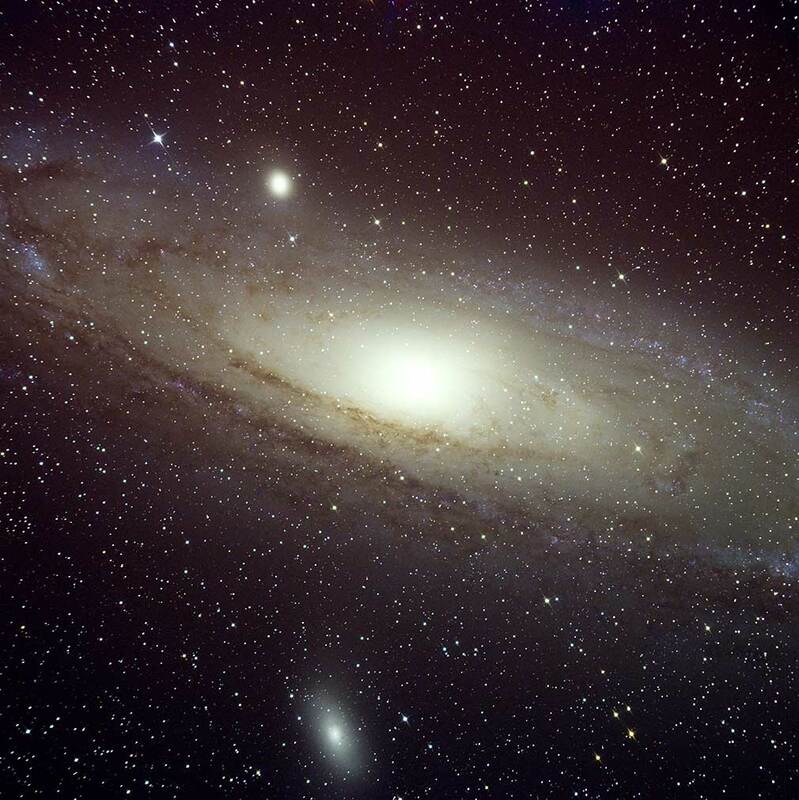 In early September, lurking low in the northeast sky is another galaxy, separate from our Milky Way - the Great Andromeda Galaxy (M31). From a very dark area without a lot of light pollution, the core of M31 is visible with the unaided eye as a slightly fuzzy spot in the sky. A pair of 7x50, 9x63 or larger binoculars will give you a much better view and any telescope will help reveal some of the neighboring galaxy's subtle dust lanes. If you haven't tracked down "The Whirlpool Galaxy," M51, just off the handle of the easily recognizable Big Dipper asterism, do it now while you still can! It will be too low for most to get a good view after September and you'll need to wait until late winter or next spring to catch a good view of this truly picturesque galaxy. An 8" or larger telescope will help you see faint details of M51 more clearly. Off the western end of the constellation, Cassiopeia is the beautiful Open Star Cluster M52. You can find it with 50mm or larger binoculars from a dark sky site, but the view is definitely better in a telescope. 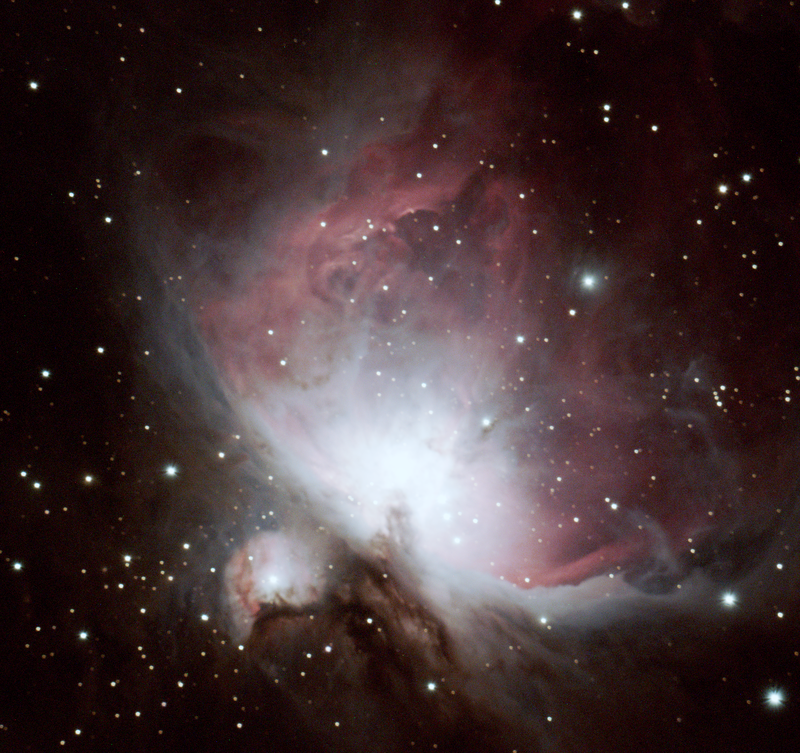 With an 8" or larger scope, and with the aid of an Orion UltraBlock or Oxygen-III eyepiece filter, you may even be able to catch views of faint nebulosity surrounding M52. If you enjoyed observing M52, you'll love the popular favorite "Double Cluster in Perseus." Lying between constellations Cassiopeia and Perseus is a bright, fuzzy spot in the Milky Way, and a binocular will reveal two, bright open star clusters close to one another. For a real treat, use a telescope equipped with a wide-angle eyepiece to explore these sparkling clusters. In early September the "Double Cluster" appears low in northeastern skies around 9 PM, but it becomes a real showpiece later in the evening as it climbs higher in the sky. Viewing planets is always rewarding and September will provide ample opportunities. Mars and Saturn are still visible until late in the night (early in the morning). Jupiter is still up in the early evenings but will set fairly soon after dark. Go out and enjoy! A challenging object to see in September is the supernova remnant called the Veil Nebula, located in the constellation Cygnus which is nearly overhead as soon as it gets dark. With the help of a star chart, aim your telescope at the naked eye star 52 Cygni. One branch of the Veil crosses over this star and to the east are brighter segments of this roughly circular nebula. While the Veil Nebula can be seen in big binoculars by expert observers under very dark skies, you will likely need at least a 6" aperture telescope and an Orion Oxygen-III eyepiece filter if you are anywhere near city lights.